Get Nathan Birr's newest book, The Book of Levi, for FREE, March 24-28. Find out more. Get Nathan's new Christmas novella, All is Calm?, for FREE December 12-December 16. P.I. Jackson Douglas is Back! Jackson has made a life and a name dodging bullets . . . but not this time. Shot List is an adventure unlike any Jackson has been on before, at the same time stressing him to his breaking point and maybe, just maybe, providing a way forward. 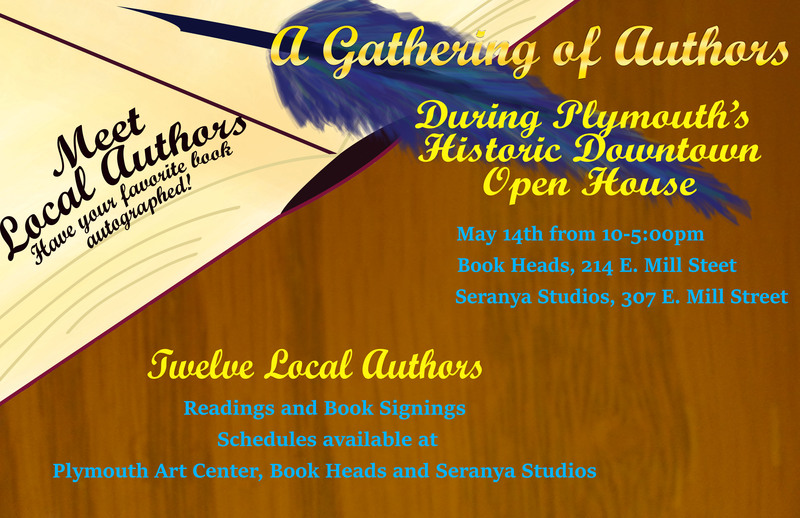 Saturday, May 14, from 10 am - 5 pm I will be signing books and speaking as part of A Gathering of Authors at Plymouth's Historic Downtown Open House in Plymouth, Wisconsin. Come out to Book Heads or ﻿Seranya Studios ﻿to hear a snippet from my new novel and some insights into my writing process, meet a dozen local authors, and take advantage of some great deals. God, Girls, Golf & the Gridiron (Not Always in That Order) . . . A Love Story is now available! Nathan Birr's fun, flirty, flaky summer read puts the MAN in romance. It's "a rare, laugh-out-loud funny kind of book." My new novel, Three's a Crowd, is now available to purchase. Get your copy here! It will also be available at Amazon, Barnes & Noble, and other retailers worldwide. To find out more about Three's a Crowd, check out the Books tab above. My new Douglas Files short story, Black Male, is now available on Amazon.com. Get it for just 99 cents! Thanks to Book Heads Book Store for hosting me at Mill Street Festival in Plymouth, and thanks to everyone who stopped by! Congrats to Stephanie Hovlund (Facebook) and @JoeVizanko and @AdamSanto (Twitter) - winners of the #OvernightDelivery ebook giveaway! Thanks to Mead Public Library for allowing me to speak about "Overnight Delivery" and to everyone who came out to join me on May 20th. Thanks to Sonlight Books in Sheboygan for having me on April 19th and to those who stopped by to purchase a copy of "Overnight Delivery" or just to chat. Thanks to everyone who came out on March 10th to support me at the Campbellsport Public Library!